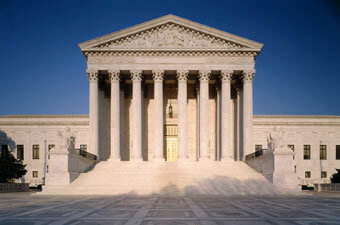 Washington – In a 5-4 decision, the Supreme Court ruled Monday that generosity, altruism and sacrifice violate the Constitution, specifically the Fourth Amendment’s protection from unreasonable searches and seizures. The ruling was considered a major blow against those who wish to help others by lending money or aiding them in some other way. The Court ruled that Conco Corp. of Virginia did not violate James Wilson’s civil rights by terminating him for lending money to fellow Conco Corp. employees who had seen their wages and/or benefits reduced. Rather, they determined it was Mr. Wilson who violated the Constitution. Joining Justice Alito for the majority were Chief Justice Roberts and Justices Scalia, Thomas, and Kennedy. Following the Court’s decision, Conco Corp.’s CEO Vern Renlington told reporters he considered himself and his company vindicated.